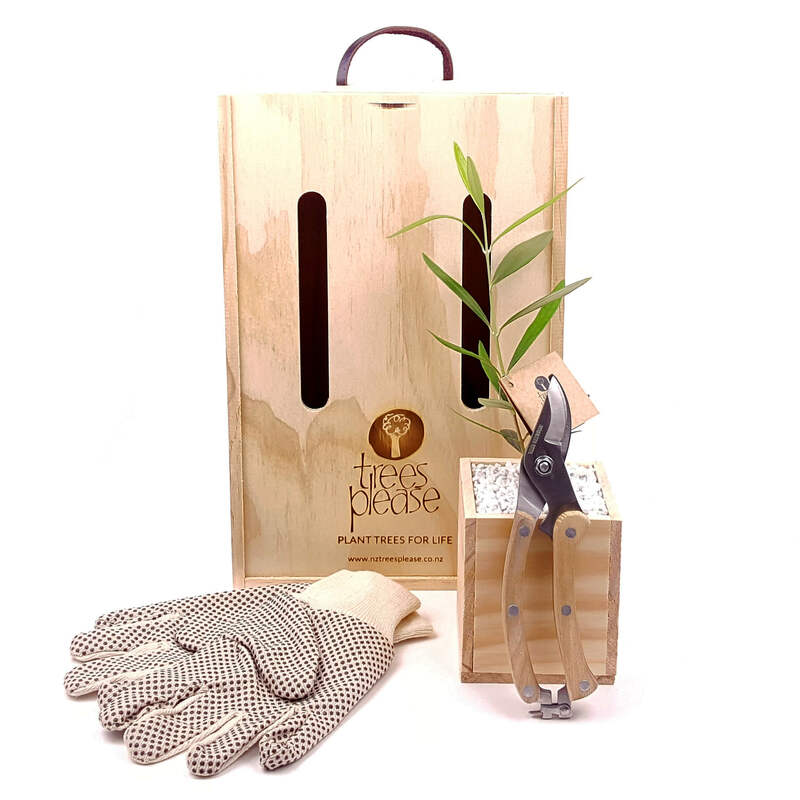 Secateurs are a must for tidying up around the garden and teamed with leather gloves to protect your hands, this is a fabulous gift for someone who loves their gardening. 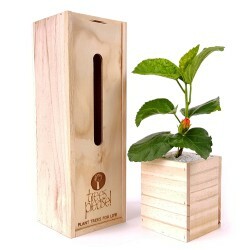 Complete with Baby Tree it’s the perfect gardening gift for someone you love. 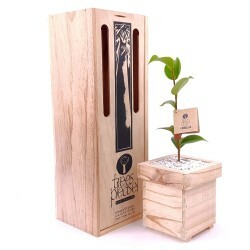 Baby tree of choice (28-33cm high), potted in quality potting mix so there is no rush for the recipient to re pot or plant. Trees Please! living gifts are delivered New Zealand-wide. Due to import/export regulations and costs we are unable to send living gifts out of New Zealand. We custom designed our gift boxes in the 1990’s to ensure that your gift arrives in good condition. Please help us by reading our delivery information below before placing your order. Your gift will be sent in accordance with our Terms of Delivery. We dispatch gifts nationwide Monday to Friday (excluding public holidays). Gifts can be delivered same day in Auckland for orders received by 12.30pm, Monday to Friday. Please note there is a cut-off time of 3.00pm for all nationwide delivery dispatches. If your order has come through before this cut-off time, it will be sent that same day (or at a later date if this has been requested). Otherwise, it will be dispatched the next working day. If you have entered a rural address (RD), please note that this can take an extra 1-3 working days on top of the standard delivery time. Rural delivery is a sub-contracted service, and outside of our control in regards to delivery time frames. With all deliveries, we use a trusted courier service. We will do our best to get it there on, or as close to, your preferred delivery date as possible. If you would like your gift to be delivered on a specific day, please select your preferred delivery date in the ‘preferred delivery date’ box at checkout and we will endeavor to ensure delivery as requested. Note that we cannot guarantee delivery on a specific day, but we will do our very best! If we have any problems with dispatching your order within our stated time frames, we will contact you as soon as possible via email. If you are getting your gift delivered to yourself, we will wrap your box so that the freight labels are not directly on the gift box itself. If you have any questions please email enquiries@nztreesplease.co.nz or you can contact us on 09 969 3234 or 0800 359 356. South Island destinations Standard: 1 -2 working days for standard gifts, 2-3 working days for bulk orders (two or more). Rural delivery allow up to 3 working days. This is a sub-contracted service. No extra charge. To check if your address is rural click here. Saturday delivery (where available). Only available in central main areas and cities. No extra charge. To check if your address can be delivered on Saturday click here. •Waiheke Island is considered inter-island and can take up to 1-3 days for delivery. PLEASE NOTE: Delivery time frames assume the order is received before the specified times above, on a working day – Monday to Friday, and does not require additional delivery/processing time. The above delivery times may be affected by conditions/events outside our control. While Trees Please! will do everything possible to ensure deliveries arrive when requested, a delayed delivery does not constitute a reason to cancel an order. 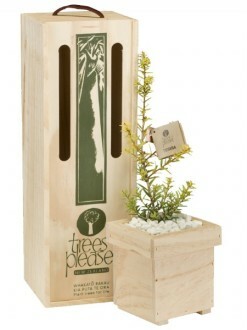 We will replace a tree gift if it is lost or mislaid by our courier company. Gifts are delivered Monday – Friday (except Public Holidays) based on the time frames above. Trees Please! standard procedure is to leave gifts safely at the premises where possible due to their perishable nature. Please provide a work address if it would be safer or if a signature is required. Delivery is made to physical addresses only. We are not able to send to PO boxes or Private Bags. Due to how our courier service (NZ Couriers) operates, we cannot specify a time of day for delivery. We are able to Track and Trace your gifts (with the exception of rural deliveries which are subcontracted). If for any reason your gift does not arrive when expected, please let us know and we will follow up. A re-delivery cost may be charged if the delivery information provided is incorrect. Please note that rural areas (RD as per NZ Post) or areas considered rural as per our courier’s schedule are passed to a rural subcontractor and cannot be tracked once handed over. Generally they take an extra couple of days, so we cannot guarantee delivery dates in these areas. To check if your address is rural click here. In peak periods such as Christmas, Valentines Day, Mother’s Day and Father’s Day we will endeavour to have your gift delivered on the requested delivery date, however due to courier delays and circumstances outside of our control we cannot guarantee delivery dates at these busy times of year. To the best of our ability, we will ensure at all times that the information displayed is accurate. All information displayed, relating to products offered by Trees Please! is for general informational purposes only and we are not responsible for any purchase decision you make with regards to suitability of a product for the purpose you have in mind. Deliveries by couriers will not take place on the following days in the following areas, due to Public Holidays. There will be no dispatch and no deliveries made on the following days due to National Public Holidays.